Never heard of watches from dinosaur’s excrement? Welcome to world of Yvan Arpa. 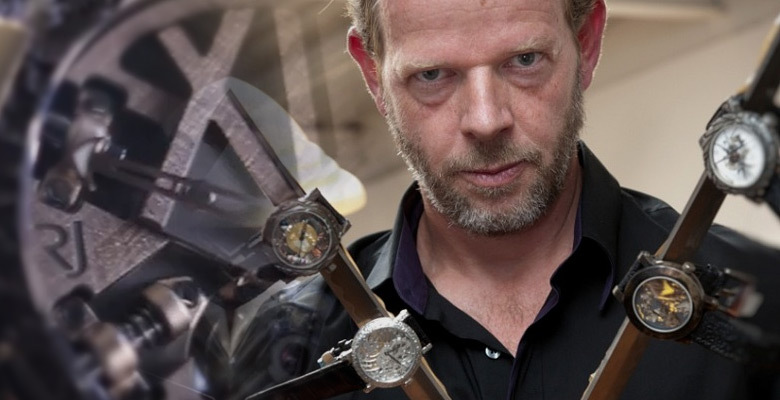 Yvan Arpa – famous watchmaker, who has shaken up Swiss watch industry with crazy ideas. Sometimes he says that his ideas come from alcohol that’s why it is clear why Yvan Arpa earned the reputation of watchmaking hooligan. Yvan made his debut in the watch industry in 1995, but his name exploded upon the mind of connoisseurs a decade later when he became the CEO of Romain Jerome. Yvan was blessed with the risky and bold idea to transform rusted steel into a noble alloy and sell the corroded metal at the price of gold. It resulted with Romain Jerome Titanic DNA tourbillon watch at a price of three hundred thousand dollars. Yvan launched the “DNA” project after acquiring a 1.5 kilograms piece of the Titanic’s hull from an unnamed seller. According to watchmaker it was recovered in 1991 before the Titanic site was given protected status. As Yvan was a mathematics teacher, he always thinks if there is a potential for sales when he does crazy ideas. So Yvan continued with a series of eyebrow-raising timepieces for Romain Jerome for example watch that did not tell the time, and the “Moon dust DNA series”, which incorporates moon dust into the watch face and steel from the Apollo 11 space shuttle into the case. According to Yvan it was bought from NASA. Inspired by his fighting as a professional Muay Thai boxer in Bangkok in 1978, Yvan established Black Belt Watches brand in 2009. These watches are available only to those who can prove that they have a black belt in any kind of martial arts. In the same year Mr. Rebel watchmaker launched his second brand Artya and presented watches that earlier were only on a joker’s mind. So he did the first watch with a dinosaur coprolite. Coprolite is an excrement of dinosaur which have been fossilised during 100 million years. Yvan Arpa sold out all dung watches for a reasonable price of 12 thousand dollars per piece. Then he went even further and introduced a unique and indeed sensational Tesla coil “lightning struck” technique to engrave the watch case, which nobody else ever would think to incorporate with watchmaking. As Yvan says, this specific watch is a tourbillon and it’s a tourbillon which has been sculpted by the lightning of the thunder. Every case is completely unique and completely different. The case takes different colors and scars depending on how the lighting goes on the case. This Revolutionary watchmaker has continued with a series of atypical materials. These have ranged from shredded euro bank notes to real bullets, from butterflies to spiders and scorpions, and above all, from never-drying paint to his own blood. The “Son of sound” line astonished audiences with it’s guitar-shaped case. Pure contemporary art in watchmaking! In 2013 Arpa tamed his lust for experimenting and came back to his roots of Haute Horlogery. He introduced his third brand Spero Lucem. This Collection consists of two high-end timepieces and pays tribute to the Mecca of traditional Swiss watchmaking: Geneva. It incorporates sections of the city’s flag into its logo and the watch La Clémence makes reference to Geneva’s largest cathedral bell. When the minute-repeater sounds the time, the watch’s hands circle rapidly in opposite directions. The price is 536 thousand dollars. Ivan never compete with Rolex or Patek because he respects his competitors and their business. Yvan definitively has got a perfect sense of humor. With his latest creation he answers the question of how the Swiss Luxury Watches Industry will compete with the growing popularity of smartwatches. He proposes to ameliorate this threat, comparable to the Quartz Crisis, by offering a gold case with baguette-cut diamonds for the smartwatch of choice at a price of 65 thousand dollars. Exclusive customization of mass market smart watches could be very profitable. And the professor of mathematics Yvan Arpa has figured it out already. 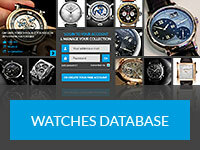 Mykhailo Malyi is the founder of Chronograph, a watch video blog dedicated to well-known watch brands and luxury ones. In Chronograph Mykhailo is trying to show things from unusual point of view, not describing features, but telling exciting stories of watches and their manufacturers. His passion to watches started after he accidentally met Rolf Schneider - the CEO of Ulysse Nardin. Since then Mykhailo has spent a lot of time exploring the watches worlds and shedding light on it with his journalistic works and blogs.